Working with electrical wiring can be tricky and potentially dangerous. Even the most basic electrical installation or repair projects can have disastrous results if they aren’t executed properly. 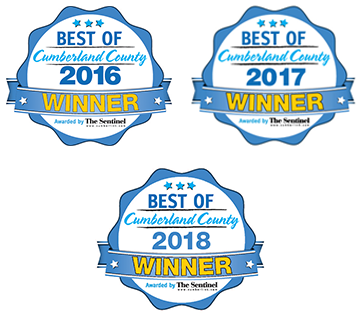 If you need professional help with electrical wiring in PA, turn to the experts at Tuckey Mechanical Services, Inc.
As one of the most respected residential and commercial electrical companies in South Central PA, you can rely on us for expert service with a primary focus on safety. 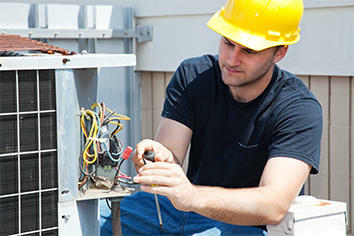 *For immediate electrical service, call us at (717) 249-1535. Not all electrical companies in PA are willing to handle every wiring task. At Tuckey, our unparalleled expertise enables us to effectively plan and execute virtually any type of electrical wiring job, regardless of size or scope. From the simplest home electrical repair to large-scale commercial and industrial electrical projects, at Tuckey Mechanical, we’re pleased to claim that no job is too big or too small for us to take on. The first step for any electrical wiring project is a no-obligation consultation. A professional Tuckey Mechanical Project Developer will come to your home or business and assess your wiring installation or repair needs. We’ll then work with you to develop a customized plan that meets your specific requirements from both a functional and cost standpoint. Our commitment to careful planning is one way that Tuckey Mechanical strives to deliver total customer satisfaction. 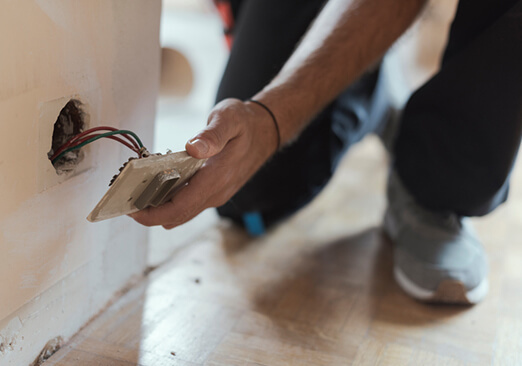 Whether your project involves electrical wiring installation or repair, our licensed electricians will get the job done quickly and efficiently. We’ll also keep any disruptions to your business operations or residential lifestyle to a minimum. Most of all, you’ll have peace of mind knowing that your PA electrical wiring job is done right – you won’t have to worry about the safety of your family, customers or employees. Tuckey Mechanical Services can provide expert electrical installation and repairs to home and business owners in many parts of PA. We serve locations in and around the South Central Pennsylvania region, including Chambersburg PA, Carlisle PA, Harrisburg PA, and York, PA. Please contact us for information on our extended service area. When it comes to electrical wiring in PA, it’s better to be safe than sorry. Call Tuckey Mechanical Services, Inc. today at 717-249-1535 for all your electrical needs. You can also make a service inquiry by filling out and submitting our convenient online contact form.